Venezuelan president Nicolas Maduro is claiming that the country has raised $735 million in the first day of a sale for its controversial “petro” cryptocurrency. Announced late Tuesday night, Maduro offered no evidence to back up the claim, though the messaging notably came directly from his official Twitter account. Reuters and the Associated Press said that no information about who invested in the pre-sale was offered by Maduro, who unveiled the results during a national broadcast on Tuesday. 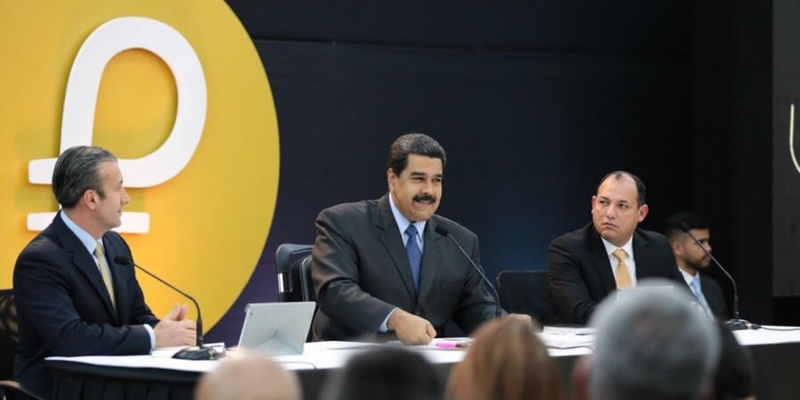 That said, Maduro struck bullish notes about the initiative, which he unveiled in December with the intent of using it to circumvent sanctions imposed by the U.S. government. The presale was launched Tuesday and is planned to last into next month. As CoinDesk reported previously, the Venezuelan government claims that the petro token will be backed by a single barrel of oil and tied to the market price from the previous day. Yet questions remain about which network the token will operate within, given that one document released today highlights the ethereum network, while another, constituting a buyer’s guide, cites an alternative blockchain system called NEM. Conflicting details aside, Venezuela’s plan represents the first time that a country has moved to issue its own cryptocurrency. The story has grabbed global headlines and sparked rejections from politicians both inside and outside of the South American country. Critics, including those from Venezuela’s opposition-controlled Congress, have attacked the plan as an illegal act and a vehicle for corruption. Senators from the U.S. have also raised concerns about the expressed plan to avoid sanctions through the cryptocurrency’s use, though how that will play out in practice remains to be seen.